Germany’s biggest association of judges has injected some sense into the debate about the sinister EU-US trade deal being negotiated behind closed doors, says Nick Dearden. 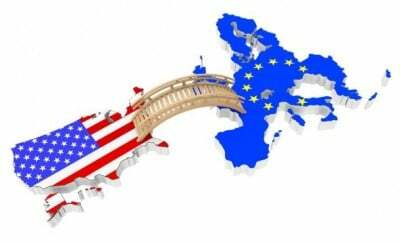 They’ve issued a damning indictment on the proposal for an “international investment court,” which the EU Commission hoped would get them out of the deep mess that the TTIP negotiations are in. To recap: millions of people across Europe have expressed outrage at the proposal in the US-EU trade deal known as TTIP for a corporate court system which allows foreign corporations to sue governments in secret arbitration panels. Formally known as the investor-state dispute settlement (ISDS), the corporate courts are already being used in countless other treaties to sue governments for anything from raising the minimum wage to protecting the environment. So EU trade commissioner Cecilia Malmstrom came up with a “compromise.” Rather than operating an ad hoc corporate court system, she wants to set up a proper, permanent international court for investors, with proper judges and more transparency. The problem, of course, is that this simply lends a whiff of legitimacy to a system which puts the profits of corporations ahead of the rights of ordinary people. But the #noTTIP campaigners feared the compromise might win a few important votes over in the European Parliament. Thank heavens, therefore, for Germany’s biggest association of judges, which has injected some sense into the discussion. Its statement “rejects the proposal of the European Commission to establish an investment court,” saying there is no “legal basis nor the necessity” for such a court. Creating special legal privileges for big business and other investors (who can already afford more access to the law than ordinary people) is clearly the path to further inequality in our already deeply unequal society. In fact, the judges question whether “the European Union has the competence to institute an investment court” given that it would force member states to submit to that court, and therefore undermine their sovereignty. Anyone who says they are concerned about our sovereignty in the upcoming debate on the EU surely has no choice but to oppose TTIP. In other words, the investment court merely becomes a permanent version of the ISDS system that is proving to be so unpopular. Which is exactly what campaigners are worried about. Of course, this hasn’t happened. That’s because the whole point of TTIP is not to redress a genuine problem but to rewrite the rules of the global economy in favour of big business. A group of German judges has now made that a little bit harder to do.